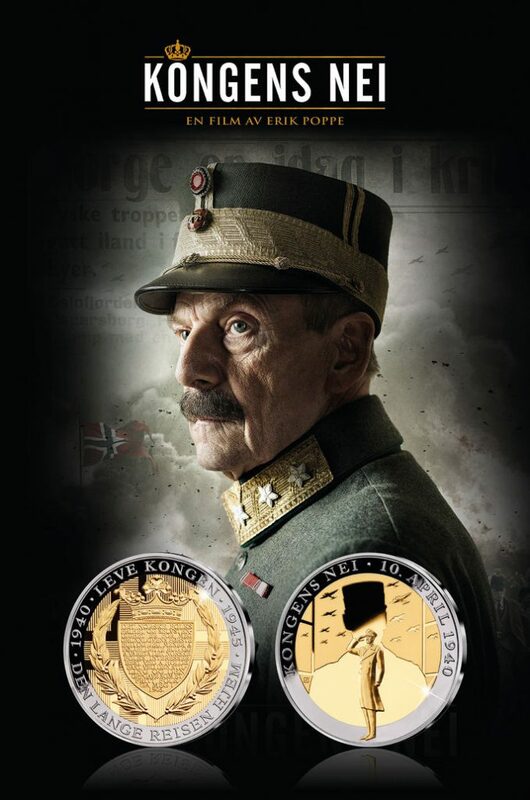 Samlerhuset and the Mint of Norway have designed and produced a commemorative medal in support of the upcoming Norwegian war-movie Kongens nei. The movie is one of the most anticipated Norwegian films this year, featuring international megastar Jesper Christensen as the King of Norway. Christensen is best known for his role as Mr. White in the James Bond films Casino Royale, Quantum of Solace and Spectre. 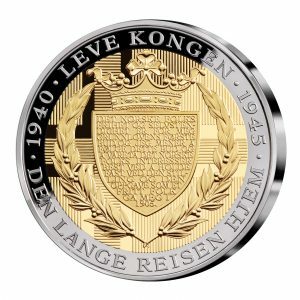 «It is our vision to spread the joy of collecting and to commemorate significant historical events through coins and medals. It felt very natural for us to become an official partner of this historical film», Ole Bjørn Fausa, one of the owners and founders of Samlerhuset, says. On the 9th of April , German soldiers arrive in the city of Oslo. The King of Norway faces a choice that will change his country forever. After three days on the run, the King decides not to capitulate to the German forces. «The story is told in a very absorbing manner, and Jesper Christensen truly succeeds in portraying the tormented feelings of the King during these dramatic days», Fausa says.